Maybe you are new to sourcing decorated apparel, or maybe you are a veteran salesperson with years under your belt. Either way, we’re here to help you succeed. We know you can give that PO to any decorator out there. What sets us apart is how we approach things. It’s not just a buzz word filled phrase, but actually something we enjoy. Did your client just hand you a big challenge at the last minute and you need to pull it off to be a hero? 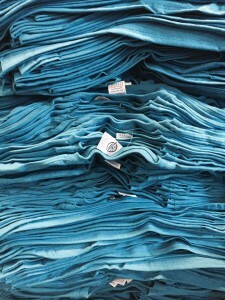 Do you need to print 10,000 t-shirts and drop ship them to 1,354 locations by the end of the month? What about embroidering a custom backpack program and shipping them overseas to three different countries? We’ve handled all that and more. Our goal as your contract apparel decorator is to hit home runs for you daily. When you hand off a job to us, you can be rest assured we’ll do whatever it takes to deliver on the expectations you’ve set with your client. We’re experts at doing the right thing. We know you need answers. That’s why we are staffed with industry experts that have been around the block or two. We’ll make you look good. That’s our job. Just let us know how we can help. We’re leading members of PSST programs (Pack Separately Ship Together) from SanMar, alphabroder & S&S, and anything you order from them comes to us one day ground for free. Just place your order with them as you normally would, and they will take care of the rest. Got a big order and a deadline? How about consistent orders for programs that are only a few dozen pieces, but you need to ship them 100% complete? What about printing on red polyester, or maybe a fashion forward tri-blend? We operate on two shifts with thirteen automatic presses and four manuals to maximize our production capabilities. All M&R equipment. Got a deadline you need to hit? Pantone color to match? Funky location to print? Picky customer to satisfy? Our expert crew won’t let you down, like your last printer. Corporate logos, we love ’em! Whether it is a company store fleece jacket program, logo’d uniforms, event merchandise or just a regular baseball hat order, our embroidery team excels in pleasing your customers. 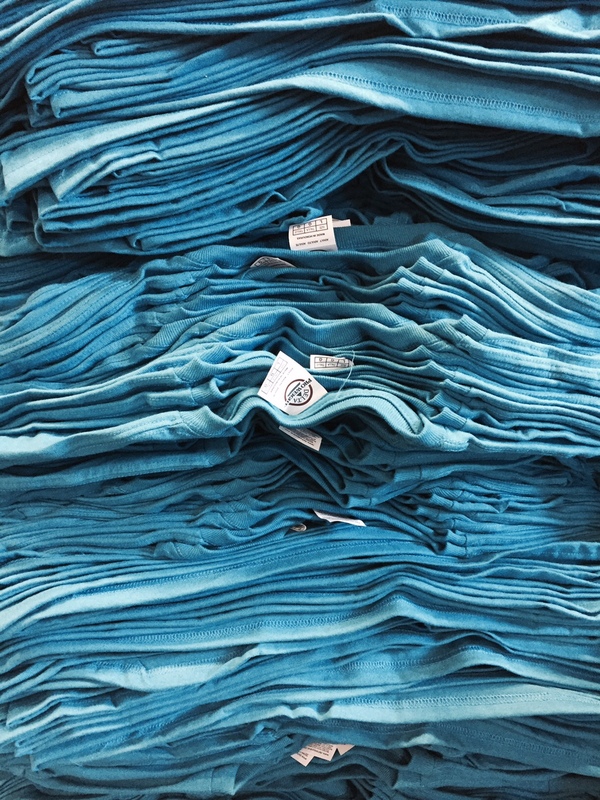 All digitizing is handled in-house, so we can be assured it’s correct for our machines and the garments you’ve selected for your order. We employ 105 heads of Barudan embroidery equipment on two shifts to sew excellence into your sales orders. We have one of the fastest Direct to Garment printing machines on the market in the Kornit Avalanche. It can print on any color cotton substrate with brilliant white, amazing color and superb detail. Maybe your last apparel printer had DTG capabilities, but you didn’t like the results. The devil they say is in the details, but also in the equipment. Let us show you the difference using the right printer can make. We also preflight all of our images before sending them to the DTG to make sure that they will print well on the garment you have selected. One of the best ways to handle a corporate catalog program is using pre-made heat transfers of the logo. We usually make these ourselves ahead of time, and then as your order comes in for the client, we get the shirt and complete the process with a heat transfer. It’s a great way to build this into your sales arsenal, as there’s no inventory to worry about. Heat transfers are also used for names and numbers, and also any type of vinyl cutting. We handle those challenges too! Need your shirts relabeled with a custom tag? How about polybagging all of the shirts for you and having them marked with sizes so they are easy to hand out later at the trade show event? Maybe you need some custom scenario where a hat, a shirt and a provided printed piece all go into a mailer. We’ve done those and more. You’re not still bringing it all back to the office and working until midnight to package your own order are you? Let us take the worry out of fulfilling your orders. We can ship on your third party account and special packaging too. There’s lots of talk these days about “greening” up the supply chain. Who do you turn to that knows what they are doing and can help you with this challenge? Visual Impressions of course. Not only are we Sustainable Green Printing Partnership (SGP) Certified printers, but here in Wisconsin we’ve also earned our Green Tier Certification and our Wisconsin Green Masters awards too. We’ve put a lot of effort into our programs at Visual Impressions, because we know how important it is to protect the environment and do things the right way. Want to learn more? Click here. We’re where the pros go. Maybe you don’t have an embroidery machine, or don’t have the capabilities to run that 25,000 piece three location job. Why not outsource it to the shop that handles those jobs daily? Scale your business the easy way by outsourcing the work to Visual Impressions. You know you want to take that big order. Let’s work on it together and make your shop more impactful! Let us handle that embroidery order, screen-printing order or digital printing order for you. Maybe you need hangtagging, polybagging or even custom relabeling. We do it all. Contact us and let’s discuss how we can help you succeed!